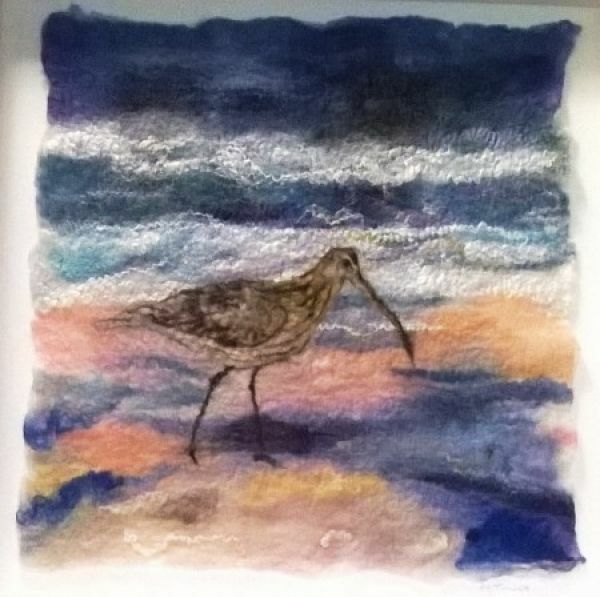 Felt Art - Anna Turnbull Paint the coast with wool...... 4 nights residential felt art course 3 days tutorial with Anna Turnbull. Course Details Each day will start with some discussion of artists work, and finish with sharing of our ideas to date. Day 1: We will visit some beautiful local beaches for inspiration -to explore, collect, photograph and sketch. Day 2: We will start the day exploring a variety of techniques making small sample pieces of felt. We will move on to composition, planning and commence a larger 'wool painting'. Day 3: We will continue with the 'wool painting', felt and perhaps add stitching or other elements to our final pieces.